In module 2 MPI will discuss students with both physical and mental disabilities. We’ll look into the exacerbated difficulties faced by LGBT students and describe “gay bashing” Lastly, this module will feature two important case studies and provide some intervention strategies. 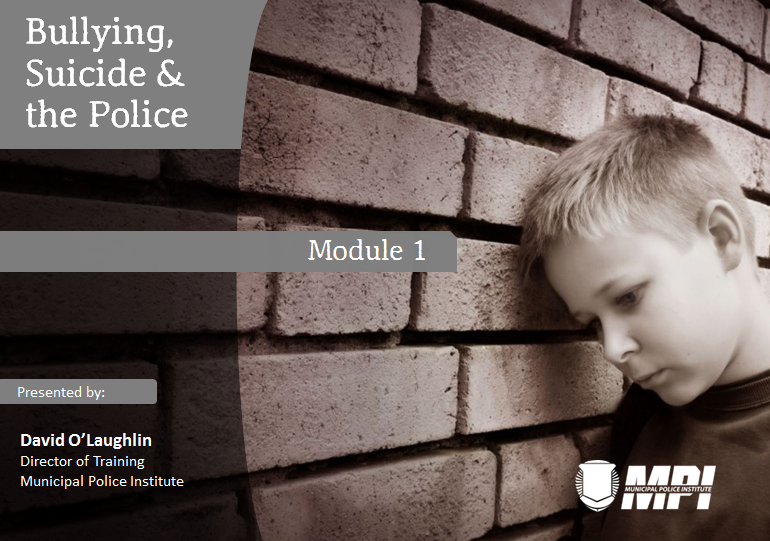 In module 3, we’ll take a close look at our anti bullying laws, both federal and state. We’ll examine criminal harassment, harassment protection orders, stalking and annoying phone calls.